A nice way to add an Asian flare to your backyard is by building a small bamboo house. You can use it to relax during a hot day or have your children use it as a place to hang out. In Asia, such as in the Philippines, people live in bamboo houses all year round. 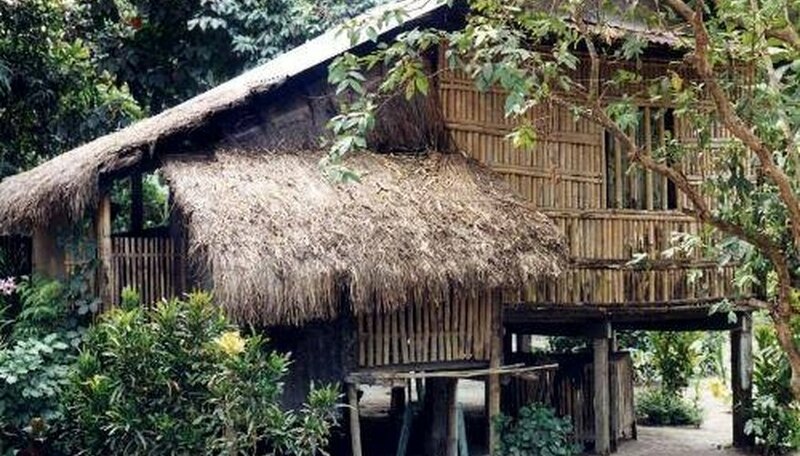 In rural or provincial areas, farmers build small bamboo houses called "Nipa huts." A nipa hut looks just like a tiki hut and got its name from low growing palm tree leaves used to cover the roof of the hut. Create a design of the bamboo house on paper. Make the design as simple as possible so that it will be easier to accomplish. Measure the area in your garden where you will erect the bamboo house. If you have a secluded part in your backyard, choose that area for some privacy. Limit the height of the bamboo house to the same height as your perimeter fence so that it does not stick out. For a garden bamboo house in an average-size backyard, a 10-foot-wide by 8-foot-deep would do just fine. Mark the areas using a chalk string. Mark the four corners where each of the main support bamboo poles would go. Dig holes about 1 foot deep each. Put bamboo poles inside the holes. To keep it strong, pour concrete first into the hole, then before it dries, place each post in each hole. Use the biggest bamboos as posts, two at about 6 inches in diameter and about 8 feet long on one side and 6 inches in diameter and 9 feet long for two on the other side. Doing one side higher than the other provides a slanted roof so that when it rains the water will slide downward. Bury 1 foot of the bamboo underneath the soil . These posts should be strong enough to hold the rest of the structure. Use a marker pen to measure from the soil about 1 foot high up on each bamboo post. This will be the height of your bamboo floors. Raising the bamboo floors prevents water on the ground from entering through the floor gaps. It also provides air ventilation as the soil gets too hot during sunny days. 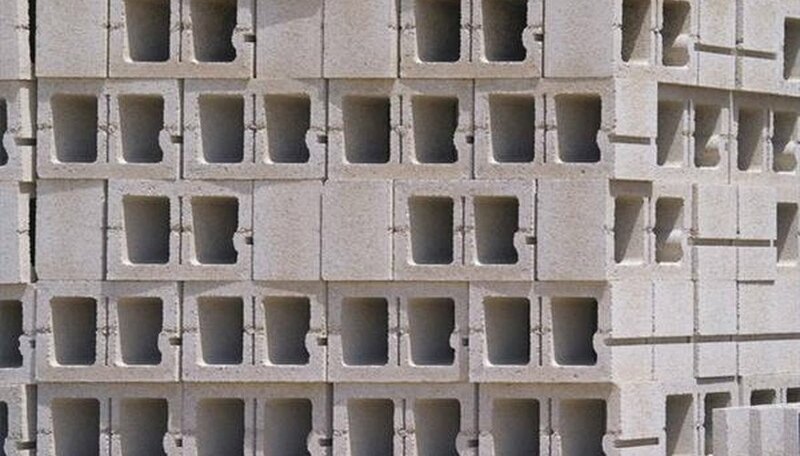 Place a few layers of cinder blocks up to a foot high at different areas of where the floors should go for added support. Start placing four medium-size bamboo poles on each side. 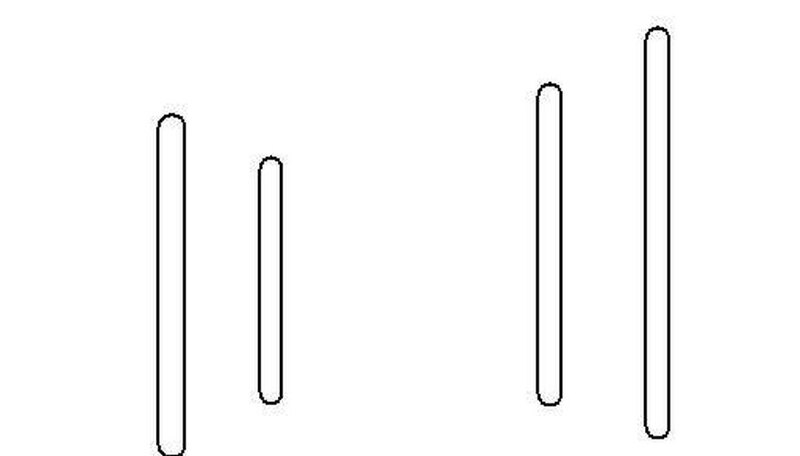 Two should be at least 12 feet long and the other two at least 10 feet long. The 12-feet ones will go on the front and back and the 10-feet ones will go on each side. The extra length will provide extra overhang, about a foot on each side. Tie each post using Manila rope. Ask another person to help you hold the other end as you tightly tie up one end. You can reinforce by using nails to connect each end or corner to the support post, and then tie the rope around each corner for a stronger support. Create a wall frame, corresponding to the floor frame. Start placing four medium sized bamboo poles on each side. Mark the four big bamboo posts from the floor at least 5 feet high. The 5-foot mark would be the location where you will tie up the bamboo walls to. Two should be at least 12 feet long and the other two at least 10 feet long. The 12-foot ones will go on the front and back, and the 10 feet ones will go on each side. The extra length would provide extra overhang, about a foot on each side. Put up the bamboo walls, measuring 6 feet each. Tie each one to the bamboo wall frames with Manila rope. Leave a 3-foot-wide opening at the front for the entryway to let the breeze in. For air circulation, you can leave five open slats at the center of the left and right wall. Put up the roof frame. Put at least 6 evenly spaced medium-size bamboos and tie them up on the top frame. Add thick layers of palm tree leaves, cut from the branches. Lay them one by one on top of the roof frame, layering one over the other. Make sure to tie each one with smaller Manila rope along different areas of the palm or coconut leaves. Cover as much as you can. Line with heavy plastic from the inside; use duct tape to adhere them on the underside of the roof frame on each side.